We are social! Follow us on social media and keep the design conversation going. 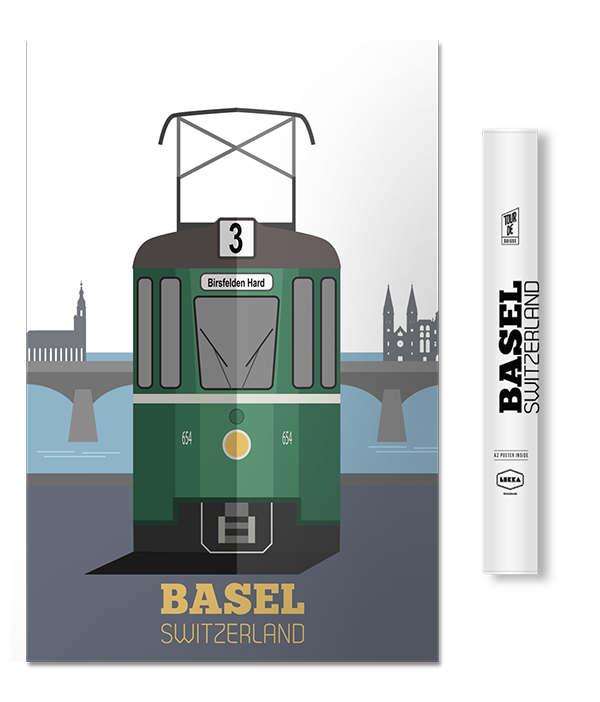 Apart of the tram collection the number 3 Basel tram shows another classic industrial icon of Switzerland. This print simply puts the tram in focus allowing for appreciation of its strong-engineered beauty.